Today marks the end of suffering and hunger in Zimbabwe as their totalitarian president, Robert Mugabe resigns. After 37 years in power, the 93 years old president, which is the oldest president on the planet has given way for others to take over power. According to CNN, Zimbabwe's President Robert Mugabe has resigned, the speaker of the country's Parliament said, bringing an end to his 37 years of rule. The announcement came as Parliament began proceedings to impeach him, six days after the military seized control in Zimbabwean capital, Harare. This is coming after Zimbabwe's Parliament begun impeachment proceedings against President Robert Mugabe, the first time in the country's 37-year history that it has attempted such a move. A joint sitting of the Senate and National Assembly began after Parliament opened a session earlier Tuesday to lay out the procedures. The ruling party, ZANU-PF, said it planned to move a motion to formally expel Mugabe, who has been clinging on to the presidency despite a military takeover last week. 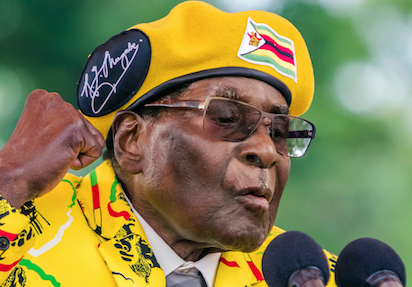 ZANU-PF, which Mugabe co-founded and led for decades, ousted the 93-year-old leader as its party chief on Sunday and gave him an ultimatum to step down in 24 hours or face impeachment. relax on the spacious park area surrounding the tower. Brusssels has a well connected public transport system.